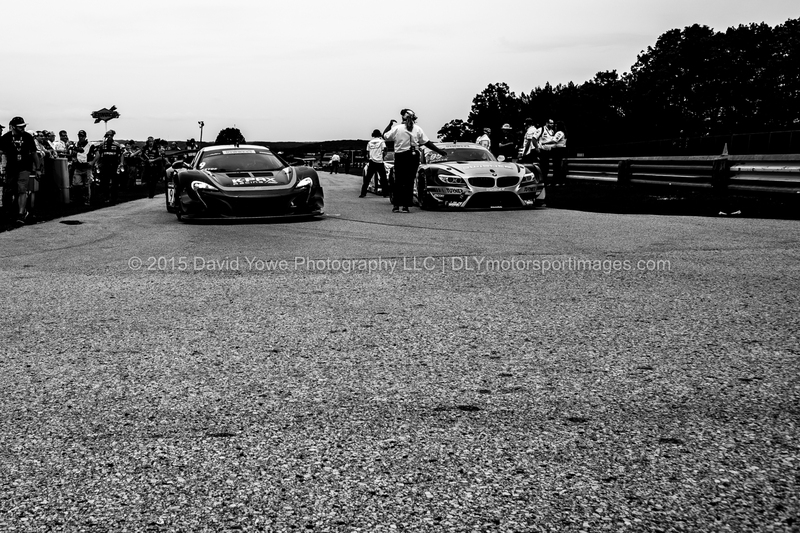 Friday was a busy day for the Pirelli World Challenge (PWC), with qualifying in the morning and the make-up GT-GTA race from Detroit in the afternoon. 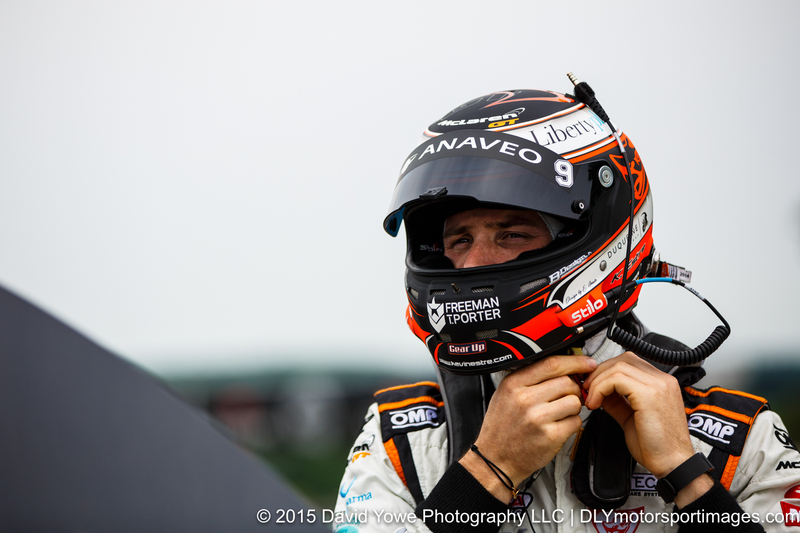 Round 11 was won by Tomas Enge in the #25 Blancpain Racing Lamborghini Gallardo GT3 FL2. Hope you like the photos. 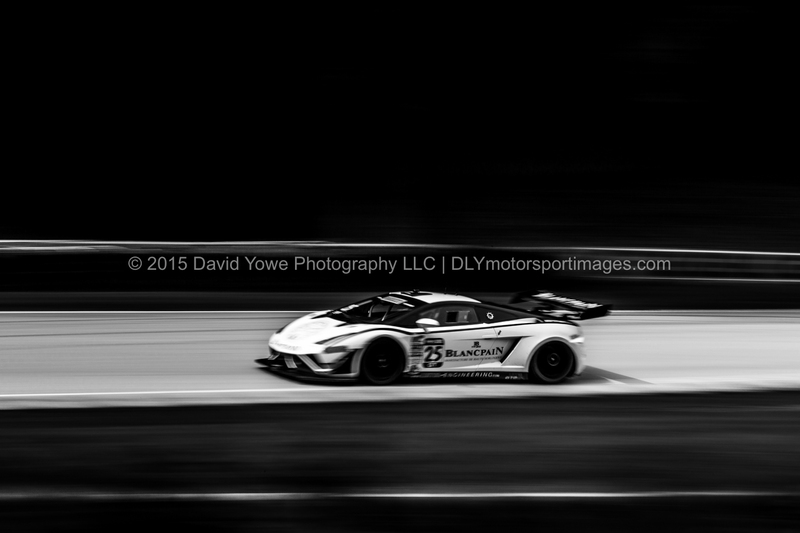 Crew pushing the #25 Blancpain Racing Lamborghini Gallardo GT3 FL2 in the paddock. 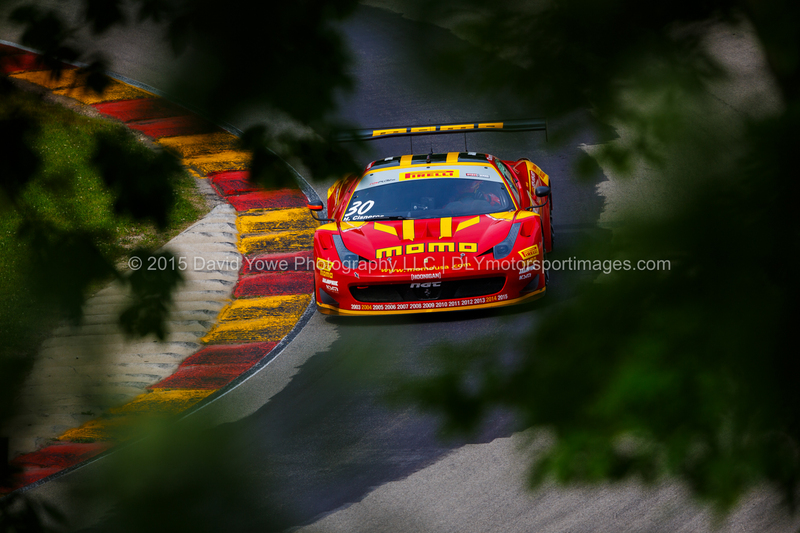 Through the leaves – Henrique Cisneros in the #30 NGT Motorsport Ferrari 458. 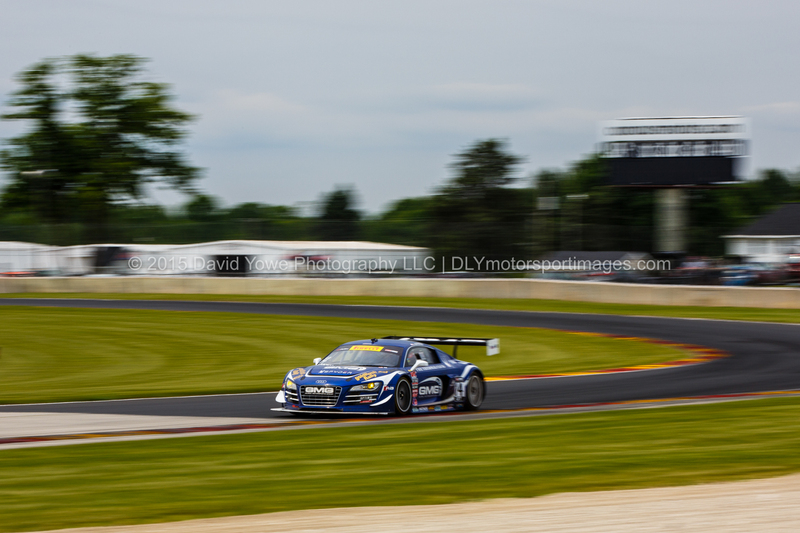 Jeff Courtney in the #99 JCR Motorsports Audi R8 LMS Ultra. 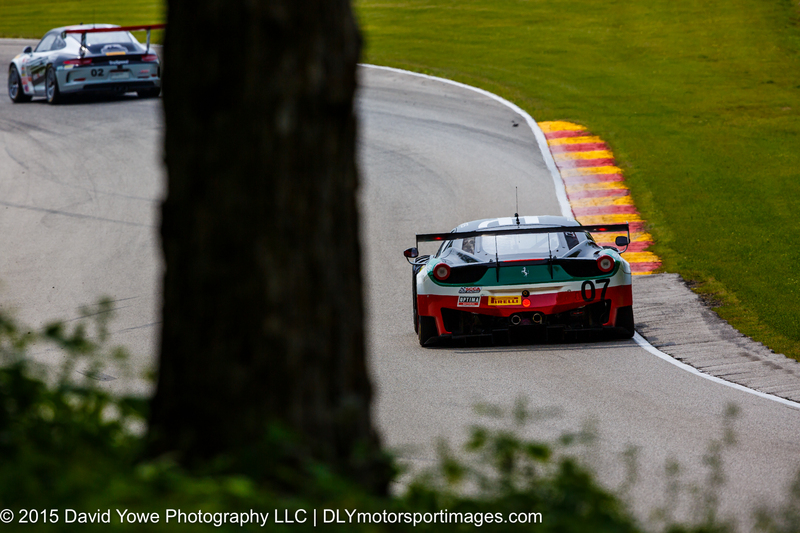 Martin Fuentes in the #07 Scuderia Corsa Ferrari 458. 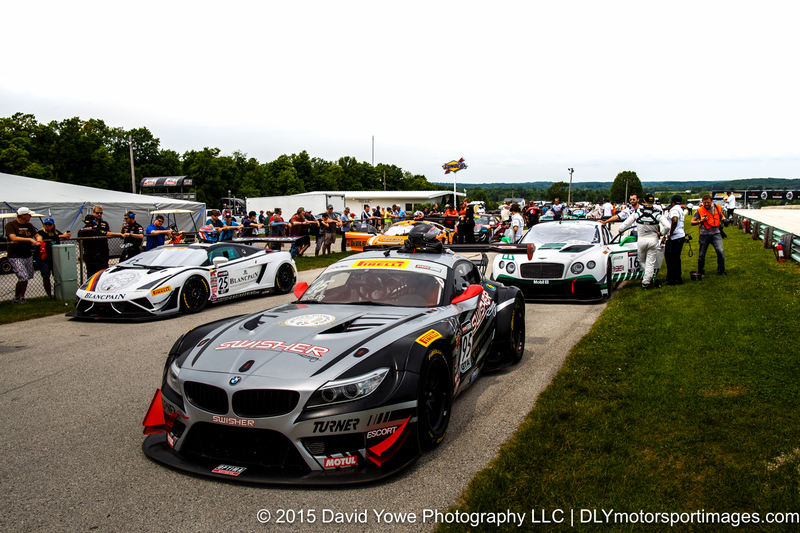 Race staging area – #95 Turner Motorsport BMW E89 Z4 GT3. 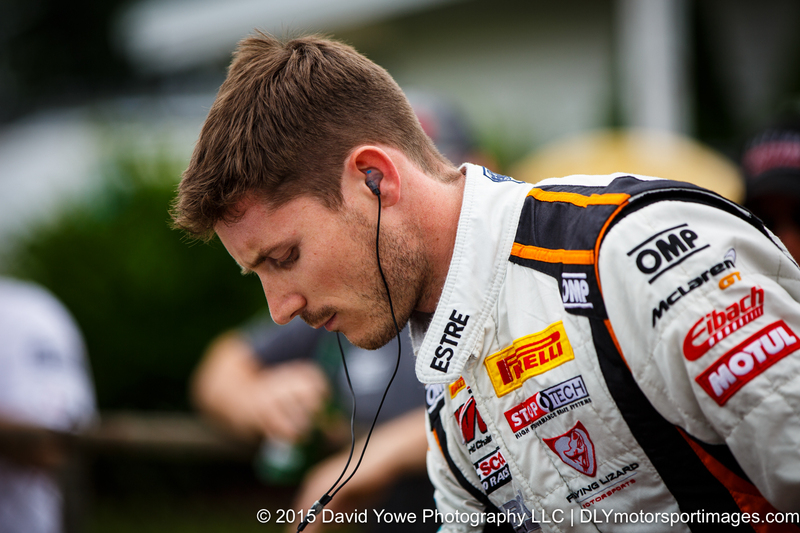 Getting ready for the race – Kevin Estre driver of the #9 K-Pax Racing McLaren 650S GT3. Race start with Tomas Enge in the #25 Blancpain Racing Lamborghini Gallardo GT3 FL2 leading the field along the front straight. 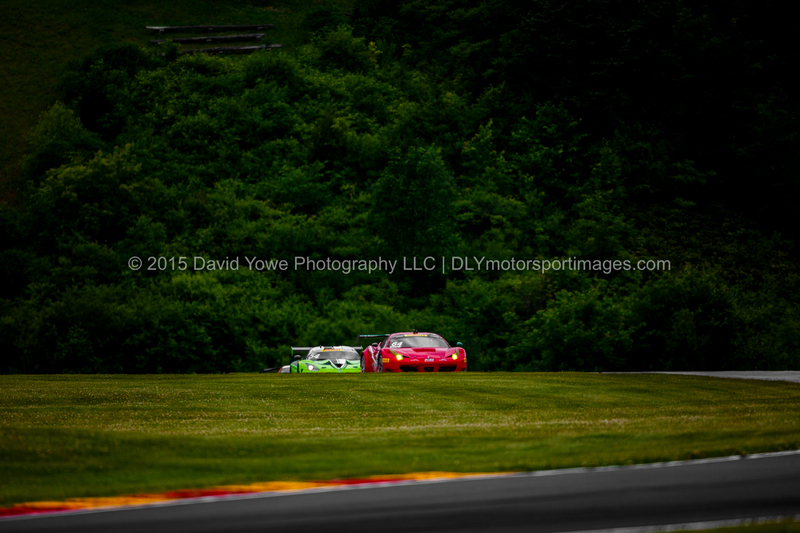 Duncan Ende in the #64 Scuderia Corsa Ferrari 458 Italia leading Tim Pappas in the #54 Black Swan Racing Dodge Viper GT3R into Turn 14. 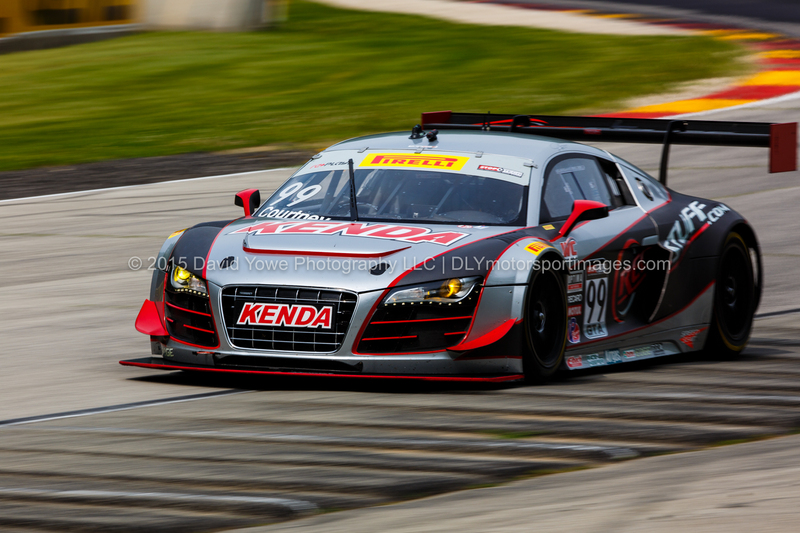 Out of Turn 14 with James Sofronas in the #14 Global Motorsports Group Audi R8 LMS Ultra. 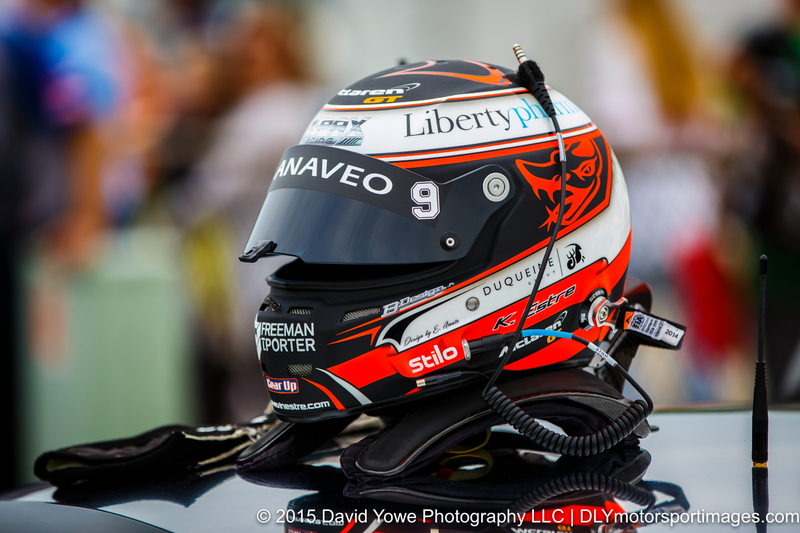 Champagne – Mike Skeen driver of the #2 CRP Racing Audi R8. 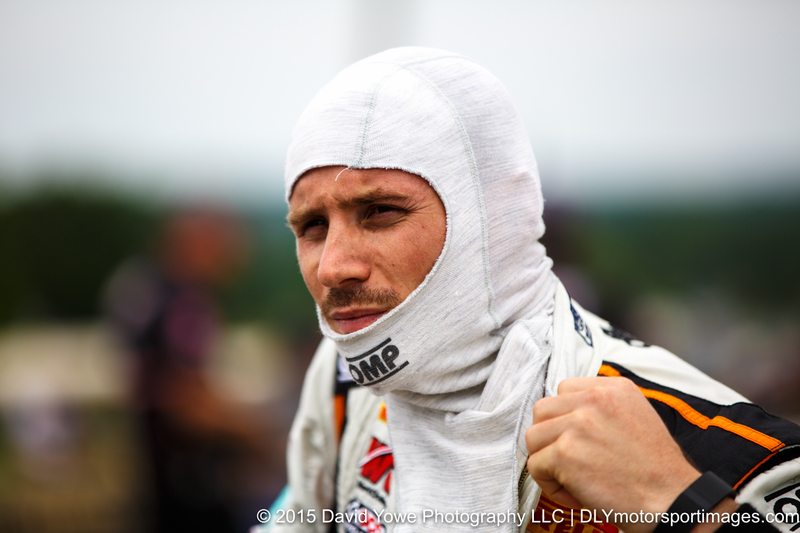 Met you at Le Mans at Porsche curves in the middle of the night, in 2014, and have been following your photos since then. Loving them and the tour that you take me around the world!! 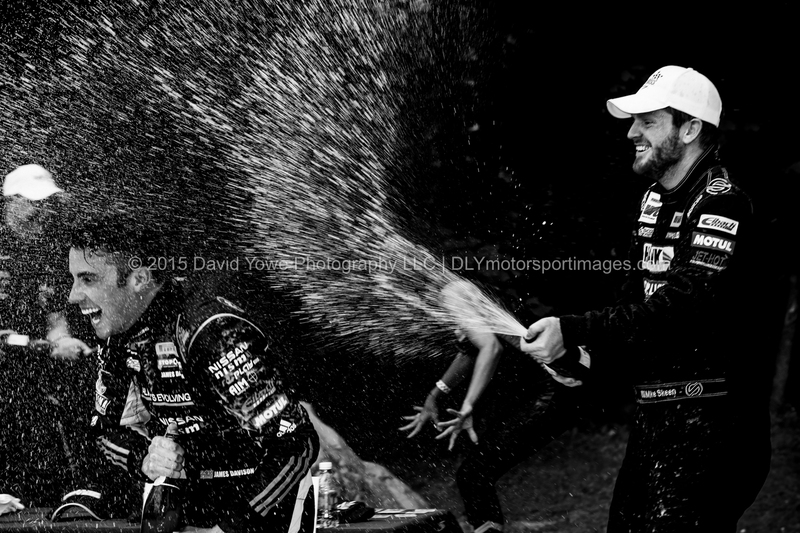 Fantastic photos!